Turkana County is a county in the former Rift Valley Province of Kenya. 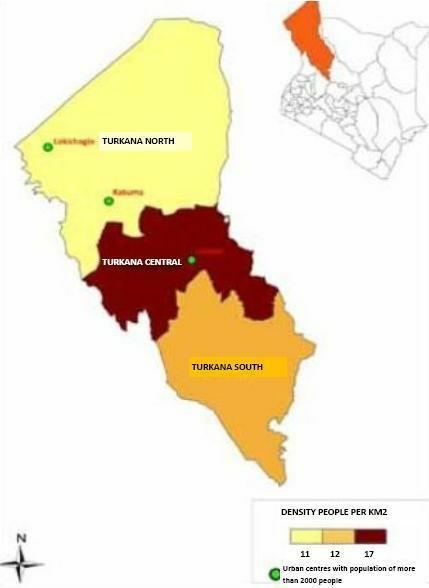 Turkana is the second largest, by land area, (after Marsabit County) and also the northwesternmost county in Kenya. 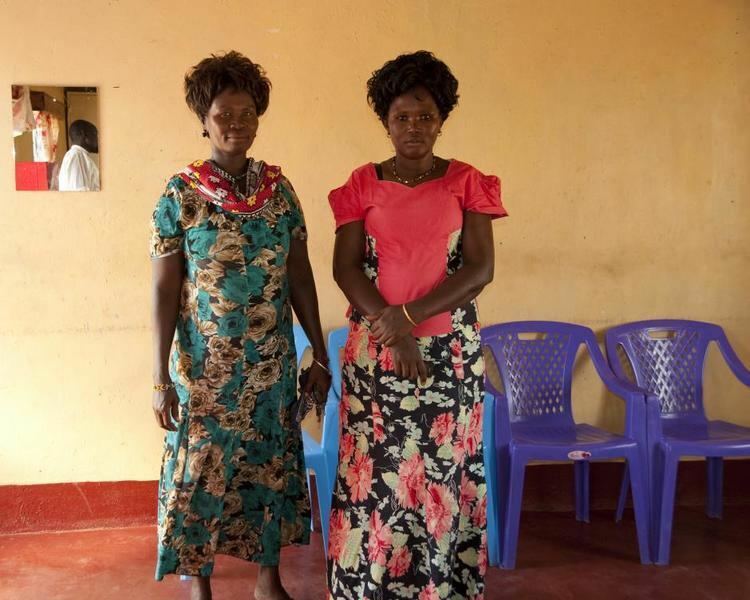 It is bordered by the countries of Uganda to the west; South Sudan and Ethiopia, including the disputed Ilemi Triangle, to the north and northeast; and Lake Turkana to the east. To the south and east, neighbouring counties in Kenya are West Pokot, Baringo and Samburu Counties, while Marsabit County is located on the opposite (i.e. eastern) shore of Lake Turkana. Four sites of Stone Age cultures are situated upon tributaries along the west side of Lake Turkana in West Turkana; at Lokalalei, Kokiselei and Nadung, and became of interest to archaeology beginning sometime during 1988. The earliest late Stone age industries in prehistory were found in Turkana, at the site of Lomekwi, and date to 3,300,000 years. 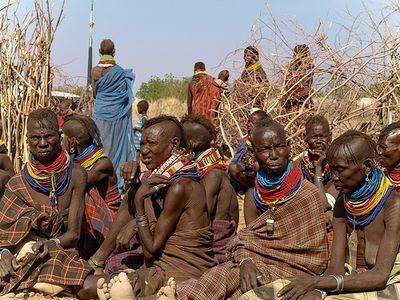 At the archaeological site of Nataruk, in Southwest Turkana, scientists have discovered the oldest evidence of inter-group conflict in the past, establishing that warfare occurred between groups of hunter-gatherers. Direct influence by colonial forces, in the form of pacification within the district began in 1900 and ended in 1918. During 1926, the entire Turkana people were subjugated to a body of the British military, who subsequently restricted their movements to an area of Kenya, forcing these to settle in the area known now as Turkana county. During 1958, the district experienced an influx of a number of people classified as belonging to the Turkana people. These had been expelled from the Kenyan town of Isiolo, and forcibly relocated to the Turkana district by the British colonial administration. The district maintained an all but complete isolation until 1976 when road-blocks leading to the district were lifted. In 2000, the people in the north of the county were reported as being harassed by marauding Ethiopians, and were consequently forced to relocate in southern areas. The land is known in the local language as Aturksven. Some place names in the country are attributed to the language of the Pokot and Samburu peoples, representing a tradition in the area of inhabitation by these peoples prior to displacement by the Turkana. The county is within the boundaries of the former Rift Valley province. According to data provided during 1991 the majority of the population at that time lived by way of farming. With an area of nearly 77,000 km2, Turkana is the largest county, including the area covered by Lake Tukana, in Kenya. Its capital and largest town is Lodwar. The county has a population of 855,399 (2009 census). Turkana County is emerging to be a major source of electric power in Kenya. Kengen's Turkwel Hydro Power Plant, situated on the southwest of Turkana County, produces hydroelectric power which is connected to the national power grid at Lessos. The county is current subject of crude oil exploration in Block 10BB and Block 13T and has potential for geothermal, solar and wind energy. Kekarongole and Katilu had irrigation networks made commencing sometime during or after 1975. Rainfall measurements per annum (1982 data) is recorded as less than ten inches; with a range of between 115mm and 650mm. There were thirteen drought periods in a period of 50 years beginning 1938. Gold panning was reported (2005) as occurring at Lochoremoit, Namoruputh, Lokiriama and Ng, akoriyiek. According to Barrett (2001) cited in Watson the wealth of a person is kept in the form of cattle. Figures stated as of 1998 stated an average estimated herd size of 15-20. 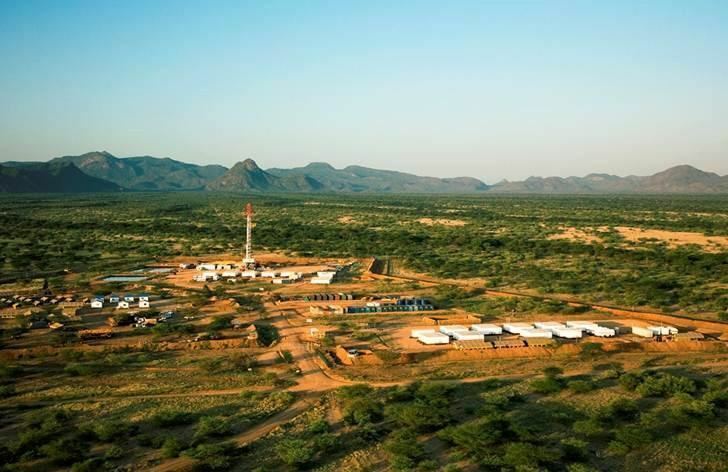 In 2013 it was announced by UNESCO that large reserves of groundwater had been discovered in Turkana County. The water was discovered using satellite exploration technology then confirmed by drilling. The extraction of the water began in 2014 and it is being piped to provide water to Lodwar town for irrigation and water for the people.